Since everything is competing for huge screens, Huawei is not just gonna sit and let the other smartphone manufacturers have their way. Huawei Ascend Mate has extremely huge display of 6.1" almost the same size as your back pocket as you can see in the picture below, with huge screen of course great viewing experience, namely "My Pocket Cinema". Not only Huawei Ascend Mate has huge display, it is also comprises of Huawei's own processor, not the overused Qualcomm Snapdragon, namely 1.5GHz quad-core Huawei K3V2 processor. 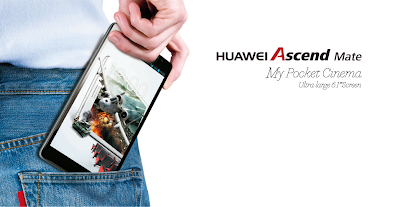 Since the processor of Huawei Ascend Mate is pretty awesome, how about another catch, the infamous Corning Gorilla Glass with Emotion UI is also featured on Huawei Ascend Mate. Huawei Ascend Mate is priced at Php16,990 SRP and it comes with a free Flip Cover. Unfortunately, it has been recently announced and not available yet in the Philippines, however you can request for a pre-order on Huawei Official Website. 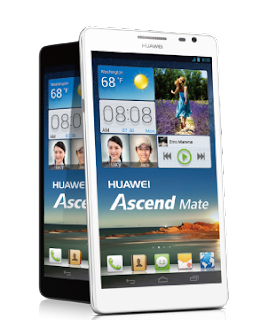 So, what can you can about Huawei Ascend Mate?